very good condition . It’s been in thr family for at least 100 yrs.. 4 curved shelves. It’s been in the family for at least 100 years. We know nothing elase about the piece. Thank you for submitting your item for appraisal. 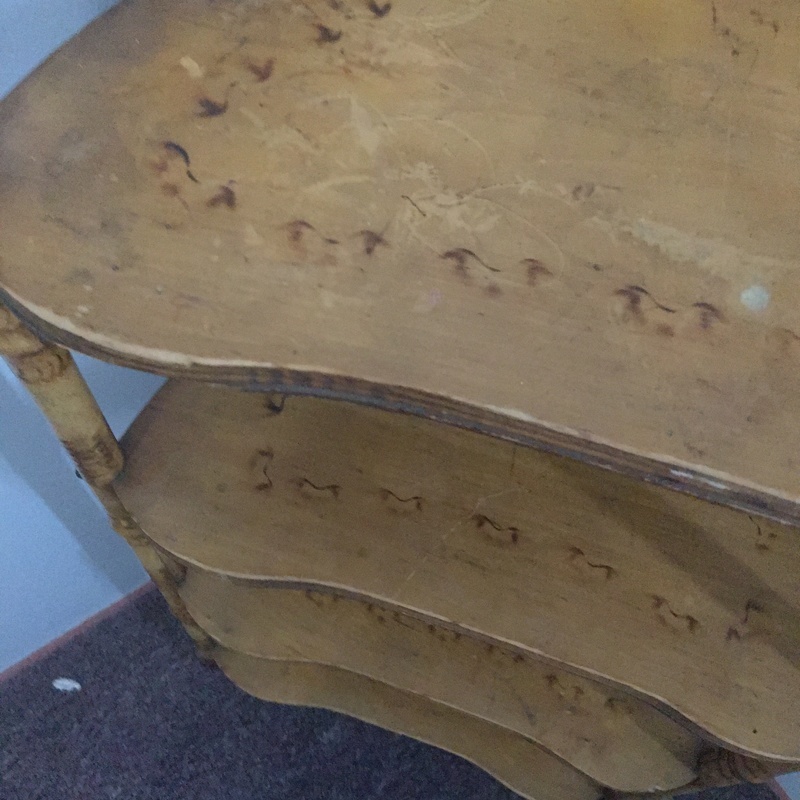 This appears to be a late victorian corner shelf or etagere, with burnt design and Bee Hive like finials. The organic triangular shaped shelves have fluted edges. These bamboo or rattan shelves were produced in huge numbers and were an exotic piece of furniture at the time. The estimate is based on similar actually sold at auction. There is no measurement for the sentimental value you might attach to the item.